Porsche is to double its investment in electric vehicles to €6bn (£5.33bn) by 2022, with plug-ins already accounting for over half of European sales volume for some models. Agreed at its latest board meeting this week, the additional funding includes €500m (£440m) for the Mission E, its first fully electric vehicle, and €1bn (£0.89bn) to add electric and plug-in hybrid (PHEV) variants to its existing model range. 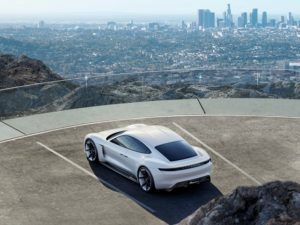 Porsche said 60%, and rising, of its European sales volume in the new Panamera was split between the two PHEV versions – in Scandinavia this had reached 90%. Extra investment will also go into expanding its facilities – its Zuffenhausen factory will get a dedicated assembly area for the Mission E, and an extended engine plant for building electric drivetrains, while the Weissach Development Centre will also receive extra funding. Porsche said the Mission E project had created 1,200 jobs within the business. Funding will also go into the roll-out of charging infrastructure, including its role within the manufacturer-backed Ionity ultra-fast network and at its own dealers, and ‘smart mobility’, though it has yet to confirm what the latter might entail. The €6bn total is split evenly between material assets and development.